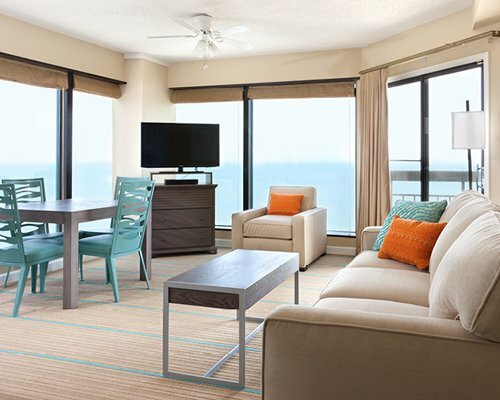 Seaglass Tower offers two outdoor swimming pools and an indoor one, as well as a hot tub. The beach is at the foot of the hotel and is perfect for gathering shells, body surfing, or just relaxing on the soft sand with a good book. 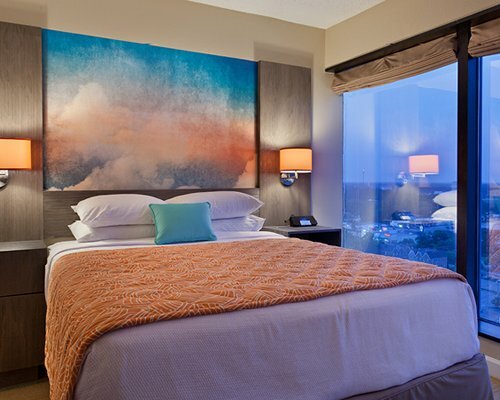 The floor-to-ceiling glass â€˜walls' open the interior space and present interesting views of the surroundings. Outdoor barbecue grills are available to guests. Well-appointed units sleep four but occupancy of 2 is recommended for comfort. 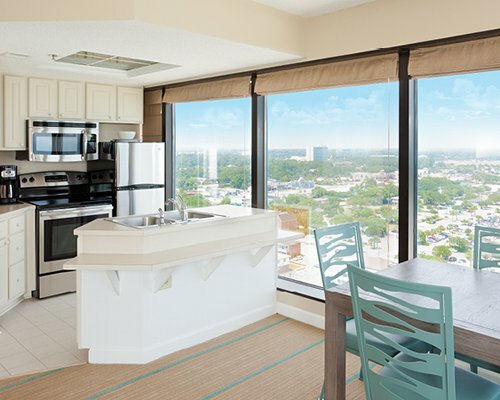 Each unit has a fully equirpped kitchen and a whirlpool bath. 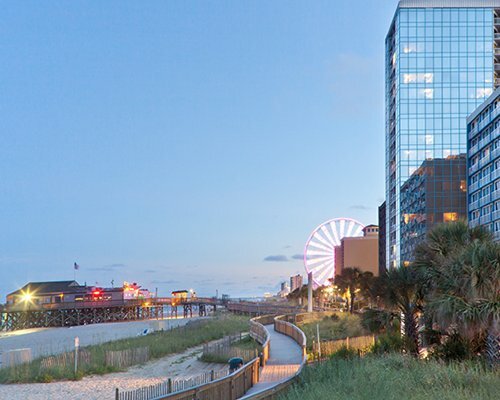 The millions of vacationers who flock to Myrtle Beach each year come to enjoy basking in the sun on the beach or reveling in the joy of bargain hunting at the outlet malls. 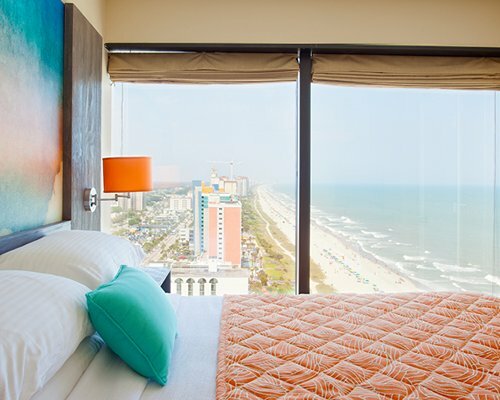 Seaglass Tower's 19 stories of glass and balconies ensure stunning limited views of the ocean and Grand Strand. 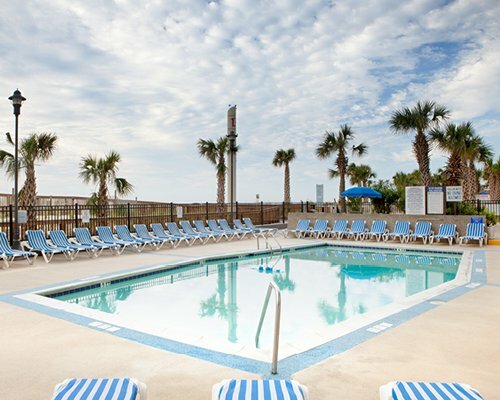 The resort is conveniently located minutes from popular attractions like Broadway at the Beach, Myrtle Waves Water Park, and more. 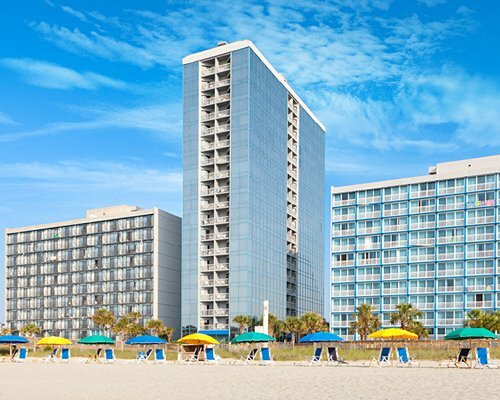 SeaGlass Tower is located 4 miles from Myrtle Beach Int'l airport. From the airport, follow the signs for Myrtle Beach local traffic. Go to 17th Avenue south, turn left onto Highway 17 Business North. Turn right onto 14th Ave North. You will go 3 blocks to Ocean Blvd. 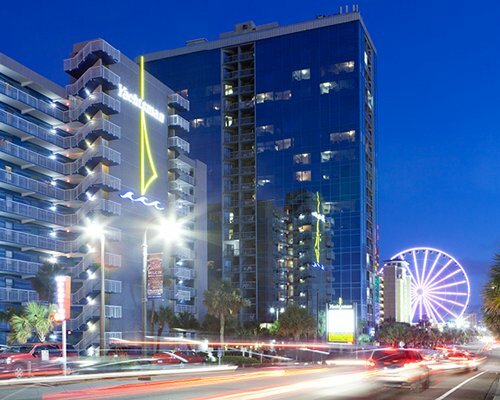 SeaGlass Tower is oceanside at the intersection of Ocean Blvd and 14th Ave. North. 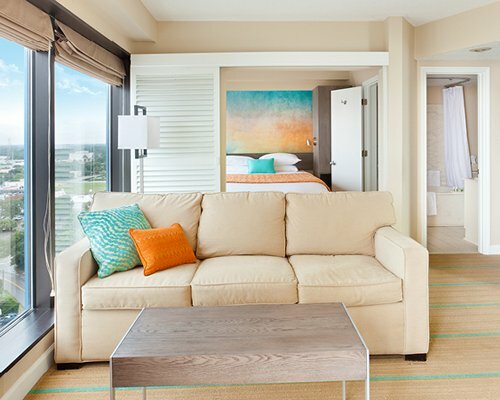 On-site construction or remodeling may disturb guests from January 1, 2019 to June 16, 2019.